On October 31, 1517, Martin Luther, a German Roman Catholic monk, nailed 95 theses to the door of the Wittenberg Church. Martin Luther wanted to discuss various ways in which the church of the day could cleanse itself of corrupt practices that crept into its life. He possessed a burning desire to make available the Holy Scriptures in a language the people could read and understand. The theme of the Reformation was “Solely by Scripture, Solely by Faith, Solely by Grace” (Sola Scriptura, Sola Fide, Sola Gratia). Luther attempted to work within the framework of the church hierarchy of the day. He held bold discussions and diets (conferences) on the Scripture, on the Lord’s Supper in two kinds, the cleansing of the church of indulgences, and the separation of the church and the state. 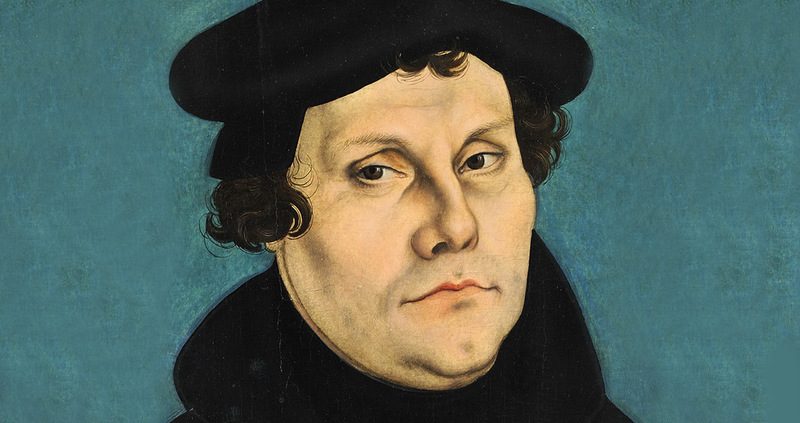 Martin Luther had little desire to start a new church, much less one in his name, i.e., The Lutheran Church. History tells us that many reforms arose out of the historical Reformation. There were those who loved the Roman Catholic liturgy, its masses, and its worship services. There were those who said anything that was “too catholic” had to go. They tore out stained glass windows and stripped the church of statues, artifacts, iconography, and altars. Over the next decades many “reformed” movements, denominations, and sects arose over doctrinal differences as well as differences in church practices and administration. Some groups maintained the hierarchy of the Bishop, while others wanted the authority to be administered by a convention body of the laity. As financial and economic times became more difficult in Europe, more taxes were extracted from the people by the state. Many taxes were collected for the maintenance of the church. The church became involved in the state’s affairs and the state became entrenched in the operation of the church. The Reformation and Renaissance of the 1500’s and early 1600’s changed the face of the world. The 30 Year War in the mid 1600’s took a heavy toll on the lives of the Europeans. In a very broad sense, two basic philosophies had developed by the 1700’s. Pietism emphasized chiefly practical Christian charity and the personal piety. That led to the Oxford Movement, mainly in England. Rationalism condemned emotionalism and deism and dealt primarily with morality and self interest. It promoted social, scientific and literary interests which led to Confessional Movement and flourished mainly in Germany, Holland, and Scandinavia. Out of this emerged the United Evangelical State Church in Germany during the 1800’s. More and more the Germans were finding their mother church torn apart by various difficulties and they began to flee Europe. Also, the failure of the Revolution of 1848 in the Germanies sent thousands to America seeking political asylum, economic opportunity, freedom from military conscription, and religious freedom. One of the first notable Lutherans to arrive on the shores and establish the Lutheran Church in America was Pastor Heinrich Melchior Muhlenberg in 1742. Muhlenberg was a prominent leader in the early American Revolution and his son, also a pastor, was a Colonel in the Revolutionary War and later a member of the U.S. Congress. The earliest organized Lutheran bodies in America were the Pennsylvania Ministerium (1748) and the New York Ministerium (1786). These and many others eventually became the General Synod in 1853, later the General Council in 1867, the United Lutheran Church (ULC) in 1918, and finally the Lutheran Church in America (LCA) in 1962. Indeed they came by the boat full. The Prussians were the “Old Time Lutherans” and went to Buffalo in 1843, and later to other parts of western New York. Others arrived later and journeyed further into the midwest states. The Saxony people were the other “Old Lutherans” who came to Buffalo under the leadership of Pastor John Andres Augustus Grabau in 1839 and to Milwaukee under Capt. Heinrich K. G. von Rohr. The Pomperania Kinderman came to Wisconsin, and the Brandenbergers to Buffalo in 1843. These groups all rallied together to develop the Buffalo Synod in 1845 and accepted the Bishop form of church hierarchy. From Saxony, the Dresden group of the Lutherans began in 1781 and developed the Dresden Bible and Mission Society in 1814. They elected a Pastor Martin Stephan as their Bishop in 1820. By 1836 they broke from the Basel Mission Society to become the Evangelical Lutheran Mission Society. They took their boat to America in 1839 and settled in Perry County in Missouri. Bishop Stephan put all of their money in a common treasury and, while on board ship, demanded obedience both in spiritual and secular matters on their way to establishing their new home in Missouri. Meanwhile in St. Louis, Missouri, another Saxon Pastor, Carl Ferdinand Wilhelm Walther, was publishing a Lutheran paper called “der Lutheraner”. He was sent down to Perry County to straighten matters out. From this event, “the Altenberg Debate”, came the strong sentiment for a church hierarchy free of the “Bishop”, but strong in “congregational authority”. Dr. Walther stressed the doctrine of the Office of Keys and gave the congregation the authority to call the Pastor. This finally led to the beginning of the Missouri Synod in Ohio and in other states in 1847. The Rev. Gottlieb Schaller of Trinity Detroit was elected the first vice president, with Dr. C. F. W. Walther, Sr., as President. Rev. Schaller later left Trinity Detroit for Old Trinity, St. Louis, to be Pastor Friedrich Konrad Dietrich Wyneken’s assistant. Pastor Wyneken had been the famous circuit rider and “Father of Home Missions in the LCMS” in the Fort Wayne, Indiana area. Meanwhile, the boats kept coming from Germany, Scandinavia, Yugoslavia, France, Ireland, Poland, etc., to America. Various societies in Europe were developing and they took as their cause the sending of missionaries to the new land of America. In Bavaria one outstanding Mission Society, Neudettelsau, headed by Pastor Johannes Konrad Wilhelm Loehe, sent missionaries to Michigan, Indiana and Ohio, upon the requests of Pastor Wyneken in Fort Wayne and Pastor Schmid in Ann Arbor. All of the above is mentioned to explain the confusion that exists even today in the Lutheran church and why there are so many different Synods. Yet, the Lutherans are not any different from other denominations. For instance, the Catholic Church’s various orders include the Dominican, Franciscan, Jesuit, etc. They established separate parishes for the French, Poles, Germans, Irish, etc. The various Methodist, Baptist, or Presbyterian groups were also divided by regional geography or ethnic background. It seems that the Lutherans, more than any other groups, continued to fight over their various synods from the very beginning. They developed Synods based on their ethnic origin (Danish, Slovak, Polish, German, Swedish, etc. ), the various theological concepts of the day, or the type of hierarchy they desired. This was most evident in the establishment of the Lutheran Church in Michigan and Detroit. As early as 1820 there were attempts to establish a Lutheran church in Detroit. The many boats kept coming and they kept bringing “so-called” preachers with them. None took hold until 1830 when Jonathan Heinrich Mann, a layman from Ann Arbor, wrote asking the Mission House at Basel to send a pastor to Michigan. On August 16, 1833, Rev. Friedrich Schmid arrived in Detroit and stayed with an August Kunz. Later Rev. Schmid married the daughter of Jonathan Heinrich Mann. On August 18, 1833, Rev. 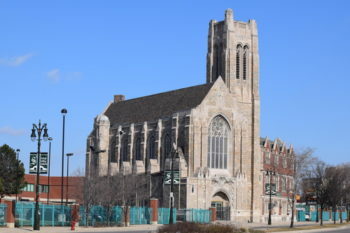 Schmid preached the first Lutheran sermon in Detroit, in the carpenter shop of John Haik (the present site of the Ford Auditorium). Rev. Schmid then left for Scio Township to establish the Lutheran Church to which he had been called. He established Salem Lutheran Church, now on Scio Church Road in Ann Arbor. It was the first official Lutheran church in Michigan, organized September 20, 1833, as the First German Evangelical Society of Scio. Rev. Schmid continued to return to Detroit, walking all the way from Ann Arbor and back every five weeks for three years. Five weeks after his first Detroit sermon on August 18, 1837, he established the German Protestant Church. There is much confusion over this name as it was also called the German Lutheran Church. In 1872 it was named St. John’s Evangelical and Reformed Lutheran Church, and in 1873 we find it listed also as Holy Trinity Evangelical Lutheran Church. Back in Europe, under the leadership of Loehe, the German Protestant Church had been known as the German Evangelical State Church. This church body contained both Lutheran and Reformed clergy. To this date Rev. Schmid is claimed by the Lutherans and the Reformed (now the United Church of Christ) as their founding Pastor in Michigan. The next pastor sent by this group to Detroit was a Rev. F. P. Schwabe in 1836, three years after the German Protestant Church was established by Schmid. Rev. Schwabe established the church as the St. John’s Reformed Church. Today it is Old St. John’s or St. John’s-St. Luke United Church of Christ. Rev. Schmid continued his missionary zeal from the Ann Arbor area. 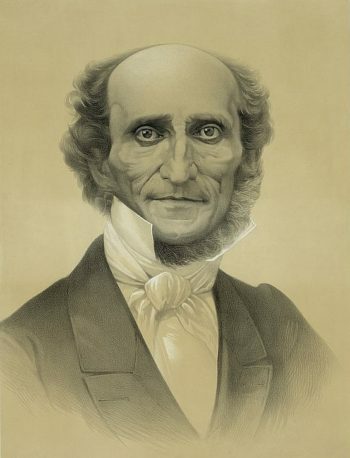 With the help of missionaries from the European Societies, and particularly Loehe, he established Lutheran Churches in Detroit, Monroe, Lansing, Marshall, Adrian, Grand Rapids, Sebewaing, Saginaw, Waterloo, Chelsea, Bridgewater, Northfield, Saline, Ypsilanti, Plymouth, Jackson and Wayne. Loehe’s men, Otto F. Hattstaedt in Monroe, Philipp Jakob Trautmannn in Adrian, Friedrich Lochner in Toledo, Friedrich August Craemer in Frankenmuth and F. K. Wyneken in Fort Wayne, were called to these parishes. Wyneken was the Pastor who got Loehe interested in the church in the U.S.
Rev. Schmid found himself caught up in various European church struggles and the various Synods in America. In 1840 he started the Michigan Synod I as a mission synod for both Lutherans and Reformed. This Synod I died out in 1846 because the Lutheran-Reformed mix was impractical. It later affiliated with the newly formed Missouri Synod. In 1860 Rev. Schmid tried again to start a Michigan Synod II. By now the Buffalo Synod had entered Michigan, and many of its members joined the St. John’s Reformed Church. Later these Lutheran members left St. John’s to join Trinity after it had been established in 1850. Another group of Lutherans broke away from the Buffalo Synod and moved to Iowa and formed the Iowa Synod. Meanwhile, an American Indian mission in the Frankenmuth area requested Rev. Schmid of Ann Arbor to send them some missionaries for their Bethany American Indian Mission. Schmid sent them three preachers from Loehe, two Lutheran and one Reformed. The Lutherans of The Saginaw Valley were offended by the Reformed preacher and some broke off and left for Wisconsin to join the new “True Lutheran” seminary. The others remained in Michigan and established Wisconsin Synod parishes. Salem Lutheran Church in Ann Arbor joined the new Wisconsin Synod and drove their pioneer pastor, Rev. Schmid, out of the congregation. He went to Bethlehem Lutheran Church in Ann Arbor where he served until his death, and is buried in Forest Hill Cemetery in Ann Arbor. For years there was an annual pilgrimage to his grave in thanks for his great pioneer spirit on behalf of Lutherans in Michigan. Not only did “the boats keep coming” and the Synods keep springing up, affecting the church at large, but it also affected the local parishes. Some congregations in their earlier years would be in Buffalo Synod, then Independent, then Ohio Synod, then another Synod. Local parishes were formed around three basic issues. A bishop form of church government or a congregational form of government. The use of candles, statues, etc., or the non-use of them. Whether private confession was necessary before Holy Communion. At one time one Detroit area parish had three facility locations under the same church name, at the same time, based on these three issues. On the local scene, Rev. Schmid had begun the Lutheran church in Detroit, but when Rev. Schwabe arrived the church became a Reformed church. Therefore, the Lutherans did not become official in Detroit again until in 1845, when Rev. Johann Friedrich Winkler arrived and established the first official Lutheran Church in Detroit, St. Matthews. 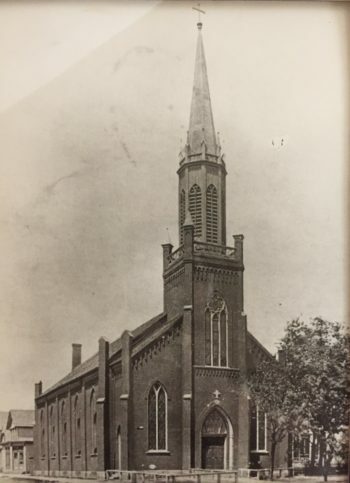 St. Matthews Lutheran Church started as an independent Lutheran Church on Cadieux and East Warren. St. Matthews built a church at Rivard and Congress, and in November of 1845 became a Buffalo Synod Church. Pastor Winkler also started St. Peters Church in Erin Township (East Detroit) in 1846. St. Matthews was in constant turmoil over the synodical issue and the authority of the bishop vs. congregation. In 1850, Rev. Winkler excommunicated a member from the church without church officers approval. He said as Pastor it was his right. Seventeen men said it was the congregation’s decision and as a result they broke off and formed Trinity Church in 1850. These seventeen Lutherans, together with other Lutherans who had remained at St. John’s Reformed Church, formed Trinity and associated themselves with the Missouri Synod that began in 1847. Thus Trinity became the Mother Church in Detroit of the Missouri Synod. At first the members of Trinity met in the wood frame chapel of Christ Episcopal Church, then located on Woodbridge. For their first church building Trinity Church purchased the chapel of the Western Seaman’s Friend Society on Woodbridge Street (from Mariners Church) and moved it to Larned and Rivard. In 1866, following the Civil War, Rev. J. A. Huegli built a new brick church at Gratiot and Rivard. In 1931 Rev. Otte had the brick church replaced with an outstanding architectural cathedral style church at Gratiot and Rivard. The first three pastors served Trinity for ten years (G. Shaller, H. Fick, J.N.A. Wuestermann) and the next four served Trinity for over 155 years (J.A. Huegli, H.C.F. Otte, G.T. Otte, Eberhard). Today, Trinity is still a member of the Missouri Synod. The Ministeriums and Synods mainly on the east coast have become the Lutheran Church in America (LCA). The Ohio, Buffalo, Evangelical and Iowa Synods have become the American Lutheran Church (TALC or ALC). In 1976 a splinter group broke from the Missouri Synod over a seminary battle and formed Seminex and Elim, now called the American Evangelical Lutheran Church (AELC). The LCA, ALC, and AELC merged into a new Lutheran Church in 1988, called the Evangelical Lutheran Church in America (ELCA). Thus, after 1988, the majority of Lutherans in America are part of just a few synods. The Missouri Synod has remained firm in its confessional stand, mission outreach and strong parochial school system. The Wisconsin Synod survives on its own to this date.